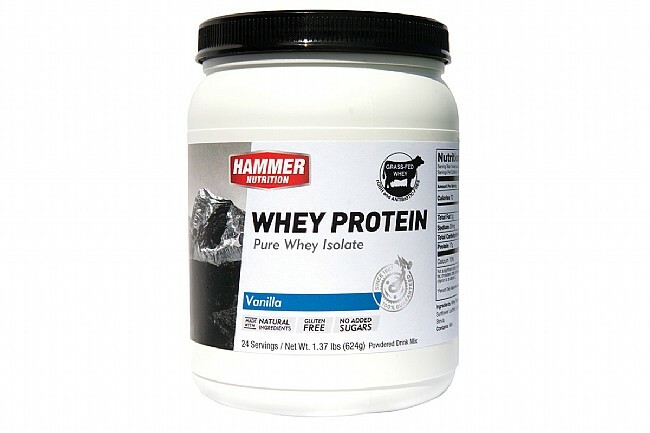 Hammer Nutrition's Whey Protein Powder (24 Servings) is packed with 100% whey protein isolate, amino acids, and six grams of L-glutamine for maintaining and repairing lean body mass, accelerating recovery, and immune system support. 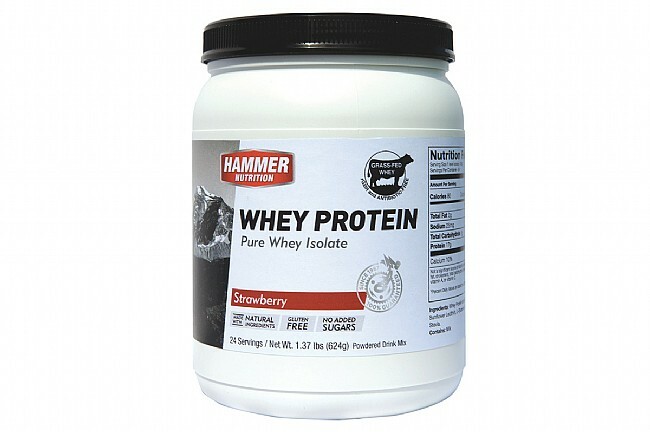 Hammer’s Whey Protein is free of lactose, fat, gluten, and added sugar, and it's derived from USraised grass-fed, hormone-free, and antibiotic-free cows. Highly bioavailable source of protein with 9 essential amino acids. A quality whey protein product. Most on the market are not good quality. The Hammer whey products are very good quality (grass-fed, hormone, and antibiotic free cows) and minimal natural sweetenerflavoring added. It mixes well and I notice in smoothies it doesn't create a bunch of air (like many why proteins do) into the smoothie, which changes the consistency in the wrong direction. I'm not certain why the others do this and the Hammer version doesn't, but I'll take it. Hammer Nutrition Whey Protein Powder maintenance, repair, and growth of lean muscle mass are as important to your training as your energy source. Hammer Whey fulfills your post-workout protein requirements without any added sugars, fillers, artificial sweeteners, or other questionable nutrients. I use this periodically with some other recovery powders. I don't seem to gain as much weight (fat) with this and it seems to help with recovery and muscle maintenance.